College Humor’s latest parody combines ’90s nostalgia for Disney Renaissance films, old fashioned learning, and terrifying sea creatures. 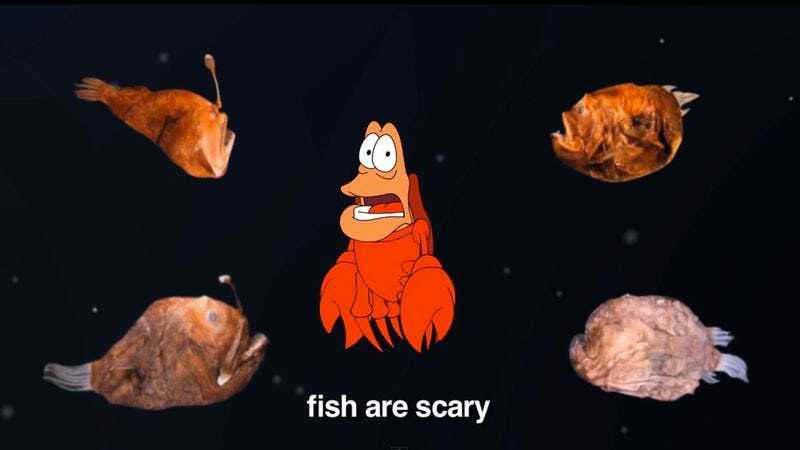 The video reimagines The Little Mermaid’s ode to underwater living, “Under The Sea,” as a catalog of deep sea creatures called “Under The Deep Sea.” Instead of singing about carps, bass, and blowfish who can really blow, Sebastian now reminds everyone that colossal squids, ghost sharks, and giant spider crabs are indeed things that exist in our real ocean. Uproxx claims a fair chunk of the video is scientifically accurate which puts Ariel’s desperate desire to escape the sea into a whole new perspective.